If you are wondering if your dog can eat things like apples, pumpkin, beans and yogurt, then the answer is yes. Most of us know that too much of our human food can make our dogs sick or a bit on the chunky side, but these 10 foods can safely be added and they will give a bit of a nutritional boost to your four legged friends diet. You just have to remember that you don’t give them more that 25% of their normal diet. Yoghurt is a great addition to your dogs meals, as it provides them with a good source of calcium and proteins. Always make sure you go for a yogurt without sugars or artificial sweeteners and that it has live active bacteria; which can act as a probiotic. In summer you can have a frozen yogurt along with your pooch. Flax seed is a good source of fibre and omega-3 fatty acids, which are essential fatty acids that are good for skin and coat. Whole flax seeds are best if ground right before feeding as this type of fat can go rancid quickly. Flax oil is a more concentrated form of omega- 3 fatty acids without the fibre. Salmon is another good source of omega- 3 fatty acids. These fats support the immune system and can be beneficial for skin and coat health. There has also been some indication that they may benefit dogs with allergies. If feeding salmon, make sure it’s cooked before serving, as raw salmon can carry a parasite that can make your dog sick. Pumpkin is a good source of fibre and beta carotene (a source of vitamin A). Dogs need fibre in their diet. The current trend is towards highly digestible diets that lower stool volume and this is not necessarily a good thing. Keeping the GI tract moving helps keep the cells lining the gut healthy. Sweet potatoes are another source of dietary fibre and contain vitamin B6, vitamin C, beta carotene, and manganese. Sweet potatoes are great sliced and dehydrated as a chewy treat for your dog. 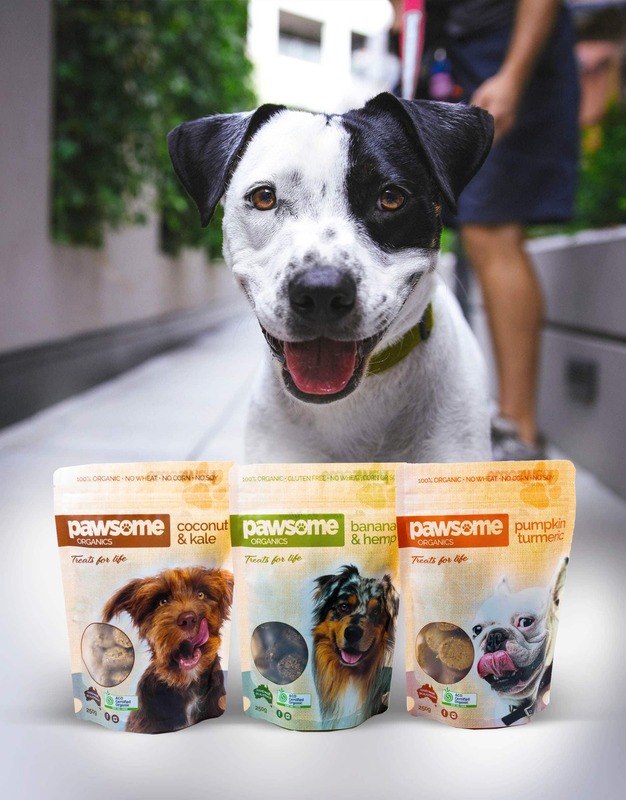 There are so many dog treats on the market that we often overlook the simple, healthy, and reasonably priced treats available at our grocery store. Apples are wonderful crunchy treats for your dog. Apples with the skin on are full of plant chemicals (phytonutrients) that are thought to be protective against some types of cancer in humans. They are a source of vitamins A and C and fibre. Apple seeds, however, contain cyanide so your dog should not be allowed to eat the core. Though the effects of a few apple seeds will likely not harm your dog, the deleterious effects can accumulate over time if allowed to eat apple seeds regularly. Oatmeal is a good source of soluble fibre. This can be beneficial for some older dogs that may have trouble maintaining bowel regularity. Oatmeal is also an alternative source of grain for dogs that are allergic to wheat. It can be fed in conjunction with probiotics to enhance their function. Keep in mind oatmeal should always be fed cooked and plain with no sugar or flavouring. As always, check with your veterinarian before making any major changes to your dog’s diet, especially if they are on any medications. Upsetting the vitamin and mineral balances in your dog’s diet can have negative effects on your dog’s health and some medications interact badly with some nutrients. The aim of most dog owners is to give their dogs the best diet possible. Good nutrition coupled with a health care program may result in extending your dog’s life by as much as 15 percent.